Hi everyone! 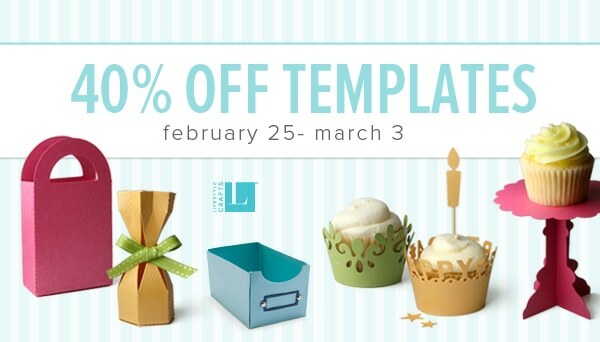 Just wanted to give you the heads up that Lifestyle Crafts is having a 40% off all of their template dies from February 25th – March 3rd. This includes all of their Boxes & Bags, 3-D Shapes and their Cards, Envelopes & Tags. You can also use the code CUTESYCRAFTS to score another 20% off on top of the sale prices!!! Awesome! To celebrate, I’m hosting a giveaway for this adorable party flag inserts die! Made for toothpicks or straws, they are great for adding some fun to your party drinks, hors d’oeuvres and cupcakes. Entry 1: Leave a comment on this post. That’s it! All comments must be posted by Friday, March 1st at 12:00 noon PST. Winner will be chosen at random. edit: This Giveaway is now closed. Disclosure: Cutesy Crafts is an affiliate of Lifestyle Crafts, meaning that if you click on a link above and purchase an item, I will receive an affiliate commission. and I’m an official subscriber now! What a fun blog! Thanks for stopping by my blog and leaving a comment this week! I’m a new follower, too! Looking forward to seeing more of your posts! Thanks for alerting me to your blog. I just read some of your entries already and you are quite talented! Very cute kids. I will also send this link to my daughter since she is a stay-at-home mom to a 4 year old! Your crafts are SUPER cute!! Love a good giveaway!! Just subscribed! These are too cute; will be perfect for my sister’s bridal shower. Thanks for the heads up on your giveaway, I love life style crafts die cuts but living in France they are hard to get. 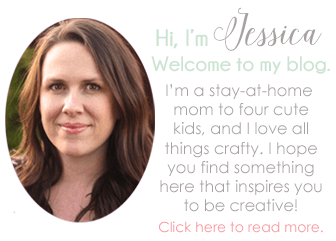 I am now following your blog too! !